Posted on August 27, 2018 | 1445 views | Topic : Best@Shah Alam, Featured Articles, Latest News, News & Articles, Property News. Shah Alam was the first planned city in Malaysia post-independence in 1957. This predominantly Malay enclave attracts a good mix of the old as well as the younger generation who prefer to live in landed homes. THE LRT Bandar Utama–Klang Line was first announced by Prasarana Malaysia Bhd (Prasarana) on April 24, 2013. It was expected to connect two million people between Bandar Utama and Klang by 2024. The project was originally projected to cost RM31.6bil under the previous government but was reduced to RM16.63bil after the 14th general election. Initially, it comprises a 37 km line with 26 stations, but this has since been reduced as of June 2018 to 19 stations. The remaining five stations (Lien Hoe, Temasya, SIRIM, Bukit Raja and Bandar Botanic) have been shelved until the emergence of a significant demand for the stations within its immediate vicinity. If you are thinking of buying a property in Shah Alam, here are three areas along the stations for investors to consider. The Malawati LRT Station will be built nearby the Shah Alam Stadium car park and will serve the Shah Alam Stadium, Stadium Malawati, the Management and Science University (MSU) campus, AEON Mall Shah Alam and the township of Taman Batu Tiga. The residential enclave of Batu Tiga comprises mainly landed terrace homes and apartments. Price: The median prices for landed and non-landed homes here is around RM375 and RM194 per sq ft respectively. The good: Living here means you have easy access to two stadiums where you can partake in fitness activities such as jogging and football or enjoying a cup of coffee at AEON Mall Shah Alam. Quality education is also a stone throw’s away with the nearby MSU. Also, the property price is affordable for the many amenities in the area. What more can you ask for? 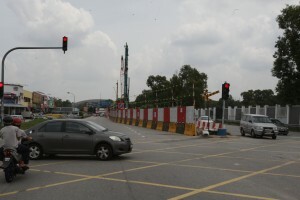 The bad: Since the abolishment of the toll at Batu Tiga, Shah Alam, traffic congestions along the Federal Highway is a common occurrence during peak hours and on weekends. It can take up to an hour to get to Malawati from the city centre. Also, the residential area caters to the lower and middle-class population. Crime used to be a problem at the playground at Taman Batu Tiga, but this has since improved with the deployment of a mobile patrol unit. The UiTM LRT Station is located between Petronas and Shell petrol stations near the Federal Highway. 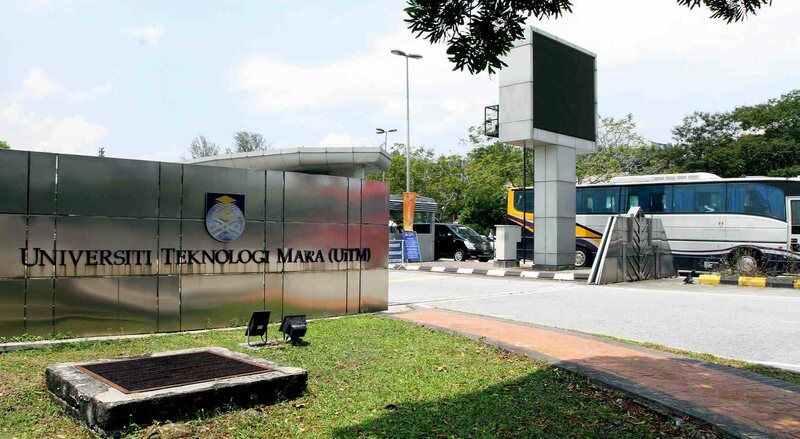 When completed, it will serve the Universiti Teknologi MARA (UiTM) campus and parts of Seksyen 2 specifically the nearby landed homes at Jalan Topaz 7/4. UiTM boasts parks and green lungs where you can go for a leisurely stroll or a brisk walk along Persiaran Institut. Meanwhile, various amenities such as coffee shops, banks and 7-Eleven at Seksyen 7 are located just five minutes drive away. Price: The median prices for landed homes here are around RM420 per sq ft. The good: There is a huge demand among students wanting to live off campus but in proximity to the university grounds. The college management has established a Non-Resident Management Unit to help students find accommodations in Shah Alam. It is a good opportunity if you are thinking of renting out your unit to the students here. The bad: UiTM is not suitable for those looking for a condominium with full facilities as the area is a landed residential enclave. It might be problematic for investors who prefer living in a gated and guarded development. Also, some neighbours might not like living next to a student accommodation. Seksyen 7 LRT Station is to be located at the playground at Jalan Plumbum 7/101e. When completed, it will serve residents at Seksyen 7, Taman Bukit Raja South Industrial Park and i-City Shah Alam. Seksyen 7 boasts semi-detached and terraced homes and is well served by various amenities such as Shah Alam Hospital, Midlands Convention Centre, Seksyen 7 Elementary School, KFC, Pizza Hut and Giant Hypermarket Shah Alam. The neighbourhood is well-planned and attracts a mid to high-income bracket due to its strategic location close to UiTM and the nearby government offices at Seksyen 2. Price: The median price for landed homes here is around RM420 per sq ft. 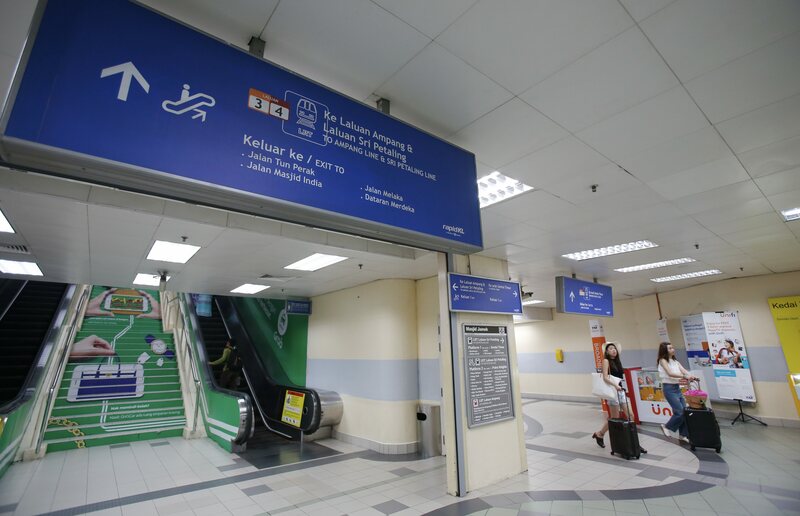 The good: The LRT station may be moved to another location along Persiaran Permai to avoid disrupting residents living at Jalan Plumbum 7/101e. The resident association have previously complained that building the LRT station will take away the last remaining green lung in the area where they have paid a premium of RM10,000. The bad: The sewer pipes in Jalan Plumbum 7/101 was damaged due to drilling works for this station, further inconveniencing residents. The main drainage has also been clogged, and footpaths for pedestrians have been obstructed. Also, the final alignment of the station has yet to be confirmed. So, residents may have their green lung taken away. For more stories on Shah Alam, catch our Best@Shah Alam special pullout on Aug 29 (Wed) at The Star Newspaper or register at bit.ly/BEST_ShahAlam to get the complimentary e-copy! Khalil Adis was the former editor of Property Report and has written for PropertyGuru, iProperty.com, Yahoo! Singapore/Malaysia, The Malay Mail, Berita Harian, Real Estate Malaysia, Property Buyer and The Star, among others. Renowned for his independent views and insights on the property market, Khalil is a highly sought-after speaker in Malaysia and Singapore. He has given talks at various expos and at property launches. He is also on the judging panel of the South East Asia Property Awards (Malaysia). 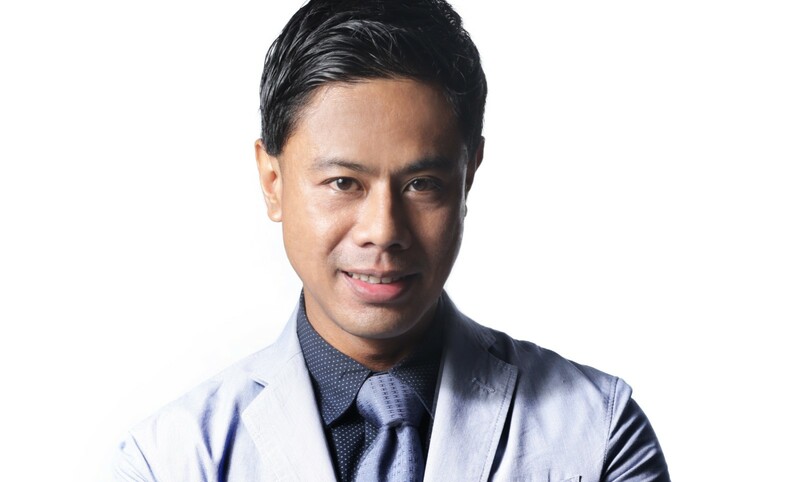 He has written two bestselling books – Get It Right Iskandar and Property Buying for Gen Y.